While most Western versions of peanut sauce are made with peanut butter, this authentic Thai peanut sauce starts with real peanuts–and you’ll taste the difference! At the same time, it is super easy and quick to make–and is really versatile. 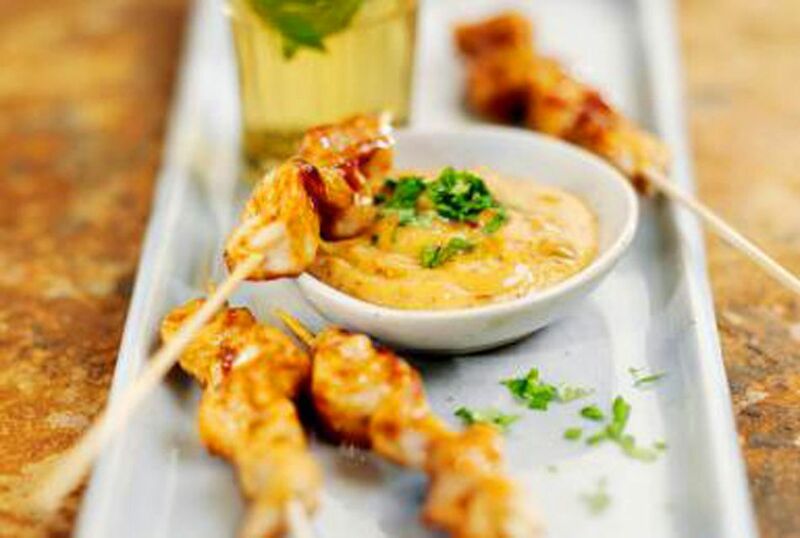 This peanut sauce can be used for a variety of purposes, from a dip for veggies to a sauce for chicken or beef satay. Or use it to make a delicious cold noodle salad or as a marinade for grilled chicken or tofu. Easy to prepare and the glaze on this roast is delicious! Combine the rosemary, minced garlic and black pepper. Rub over roast, covering all sides. Place the roast, fat side up, on a rack in a shallow roasting pan. Bake uncovered at 350°, for 1-1/4 to 1-1/2 hours. Remove from oven. 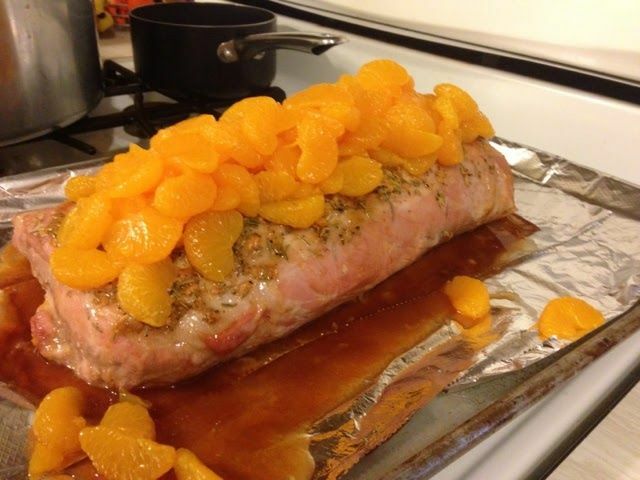 Arrange the mandarin oranges on the roast. Combine glaze ingredients and brush over roast. 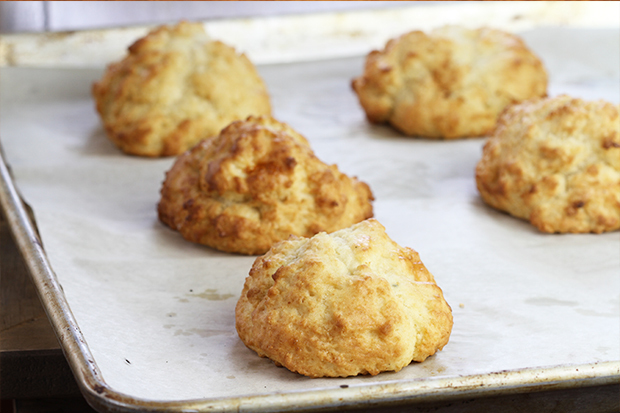 Bake 30 minutes longer or until a meat themometer reads 160° to 170°, brushing often with the glaze. Remove from oven. Let stand 10 minutes before slicing. Enjoy! I didn’t exactly follow the recipe, so I had to adjust the cooking time a little bit. I used a 3.8 lb. BONELESS roast I had on hand. I cooked it in a small roasting pan WITHOUT a rack for 1-1/2 hours. After adding the mandarins and returning the roast to the oven for 30 minutes, it only registered 130° on the meat thermometer. After another 20 minutes in the oven, it finally got up to 160°. The total cooking time for me was 2 hours and 20 minutes, within the range of 35-40 minutes per pound, which I have always used as a rule of thumb when cooking a pork roast. I found that using a brush for the glaze knocked the mandarins off the roast, so I used a spoon to apply the glaze instead. Opening the oven door multiple times to apply the glaze will extend the cooking time. Always use a meat thermometer to check the internal temperature of cooked pork. Makes great leftover pork sandwiches! The awesome things I do. a large edible fish that is a popular game fish, much prized for its pink flesh. Salmon mature in the sea but migrate to freshwater streams to spawn. Great with Berries and Whipped Cream! Turn oven to 350°. Beat eggs and sugar together for 10 minutes. Fold in the flour. Bake in ungreased pan for 45 minutes. At Grandma’s Table, everyone pitches in and no one is left hungry!